What are Night Terrors and what can I do to help? My child has started having night terrors. Why is this happening and how I can help him when he's distressed? Night terrors are common in children aged three to eight years, though they can happen much earlier. They should not be confused with nightmares, which are quite different. A child may wake up from a bad dream and remember what it was about. A youngster experiencing a night terror, on the other hand, may thrash around, scream, panic and not recognise you, even when they have their eyes open. And they won’t have any recollection of what happened. The first time it happens can be terrifying for a new parent, especially when your child doesn’t react to your attempts to comfort them. Try not to worry - these episodes will pass but you can inform yourself on how best to help your child cope with them. Night terrors or just a nightmare? In most children, night terrors occur during the early part of the night, so within the first three hours of going to sleep, and can go on for several minutes. They may seem to an on-looker like bad dreams but they present in a more dramatic way. While nightmares happen during dream (REM) sleep, night terrors occur during deep non-REM sleep, and are a sudden reaction of fear that takes place as the child moves from one phase of sleep to another. While most children will have a nightmare from time to time, night terrors occur in fewer than 6% of youngsters, and are more common in boys. But they don’t cause any long-term psychological harm and your child will grow out of them. So what causes these scary experiences and can anything be done to stop them? Experts believe that night terrors are caused by over-arousal of the central nervous system (CNS) during sleep. This can happen because while the CNS regulates sleep and waking brain activity, in young children it is still developing and maturing. In some cases night terrors can be inherited. More than eight out of ten children who experience them have family members who suffered similar sleep disturbances, including sleepwalking. Children who are over-tired, stressed or ill can be more prone to night terrors, as can youngsters who have just started taking a new medication, or are sleeping in an unfamiliar environment. A night terror can also be triggered by anything that causes your child to wake from a deep sleep, such as excitement, anxiety, sudden noise or needing to go to the toilet. For parents it can be frightening and upsetting watching a child going through a night terror, but try not to panic. Experts say the best way of reacting is to remain calm and to wait for it to subside, while making sure your child doesn’t harm themselves when thrashing around. Don’t try to wake up your child, as this often doesn’t work or can leave the child feeling agitated, confused and disorientated. Usually, a child having a night terror will settle down and go back to sleep within a few minutes. While there is no treatment for night terrors, you can help to prevent them with a few simple measures. Try to ensure your child goes to bed stress-free and feeling relaxed. A bed-time routine might help establish calm, and this includes making sure they go to the toilet before settling down for the night. But don’t allow your child to stay up too late. Over-tiredness can be a cause of the problem. Your child probably won’t remember the experience, but you should still be mindful that it could be a sign that they are feeling insecure and need reassurance such as following their first day at nursery. If you’re worried that night terrors occur repeatedly and too frequently then contact your doctor, who might refer your child to a sleep specialist. A GP may also be able to diagnose a physical reason for the night-time disturbances, for example, enlarged tonsils which can cause breathing problems. Written for the Pre-school Learning Alliance by Dorothy Lepkowska. I think my child has ADHD. How can I help? Why does she always do that?! 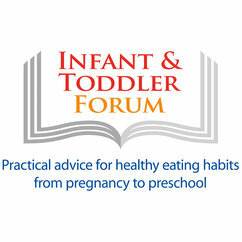 For further advice on your child’s nutrition, visit the ITF. 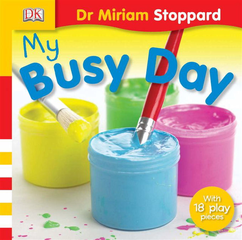 Children’s books from just £1.99!